The following article is an expansion of one that first appeared in the JEI in March 2015 and was subsequently adapted from a series of articles that ran in Mongabay from 26 January to 8 February 2016. Within the sustainability sector, finance is increasingly being seen as a powerful lever to help companies “green” their operations. Over the past few years, a growing number of corporate banks and investors have begun using both positive and negative screening methods to improve the sustainability of their portfolios and client companies. Positive screening methods preferentially provide capital to sustainably run companies and include socially responsible investment (SRI) funds and green bonds that are dedicated to responsible companies. On the other hand, negative screening methods focus on weeding out unsustainable companies, generally by using environmental, social, and governance (ESG) screens that grade companies on a number of metrics, such as carbon footprint and fair labor policy. Sustainable finance is still regarded as a niche market, but its share of the financial industry continues to grow. According to the Global Sustainable Investment Alliance, from 2012 to 2014, the global sustainable investment market expanded from $13.3 trillion to $21.4 trillion. Reflecting this trend, consortiums such as the UN-backed Principles for Responsible Investment (PRI) are attracting an increasing number of signatories. Millennials and institutional clients are driving much of this demand for sustainable investment. Some of these institutional clients, such as the Interfaith Center on Corporate Responsibility (ICCR), may have chosen to be ethically or religiously obligated to pay attention to such concerns when making investing decisions. Sustainable finance can be a powerful force for good. Its proponents claim that by placing similar importance on societal impact and financial returns, sustainable investing strategies can change prevailing profit-centric attitudes in the financial industry. However, the sustainable finance movement is now at a crossroads, its momentum stalled by a fundamental problem: the difficulty of measuring the effectiveness of many sustainable financing products. “Virtually nothing is known about the environmental impact of green loans and bonds,” says Cary Krosinsky, lead consultant at PRI and independent sustainability advisor. Because there is no standardized method for evaluating the environmental impact of sustainable financial products, investors are forced to rely on proprietary methodologies that can be confusing and opaque. The 2015 Volkswagen emissions scandal illustrates how easily green funds may be misappropriated. The German automaker had received €4.6bn from the European Investment Bank that was supposedly directed toward low-emissions research. But it was discovered that many of its cars had “defeat devices” installed to ensure that their emissions performance tested more accurately in the laboratory than on the road. Sustainable investment was again thrust into the spotlight in late 2015, as forest fires in Indonesia surged to become the worst ever recorded. The irresponsible forest clearing practices of some palm oil and paper companies caused these sectors to be fingered as key culprits. Consequently, the financial institutions that had extended these companies large amounts of capital to establish their palm oil and paper plantations also came under close scrutiny for their use of environmental assessments—or lack thereof. Do Financiers Account for Environmental Performance When Deciding Whether to Extend Capital to Palm Oil Companies? Palm oil companies raise capital through two main sources: (1) by selling equity to private investors and on the stock exchange, and (2) by taking loans from commercial banks. The majority of equity investors in the palm oil sector do not take environmental performance into account when making investment decisions. Such ESG screens are usually performed only by SRI funds or screened funds that have a specific sustainability focus. Mainstream funds instead base their initial investment decisions largely on a company’s earnings ability. For a palm oil company, two metrics are commonly used as proxies for earnings ability: the size of its land banks and the age of its plantations. “Evidence suggests that some companies are rewarded for growth-linked KPIs [key performance indicators], which often mean conversion of more land banks,” says Iain Henderson of the United Nations Environment Programme Finance Initiative (UNEP FI). Immature plantations are also preferred to more mature ones because they are more likely to deliver a higher total output over time. Both of these metrics create incentives for plantations to expand rapidly and continuously, rather than sustainably. Eric Wakker, head of the Asia division of sustainability consultancy Aidenvironment, notes that while some major mainstream funds do incorporate ESG risk assessment, this usually “lags behind the investment decision.” The Norwegian Government Pension Fund is one major fund that follows such a post-investment screening approach. The Fund appoints a Council on Ethics that periodically reviews the Fund and advises whether certain companies should be excluded from its portfolio. In August 2015, for example, the Fund announced it would exclude four of Asia’s largest conglomerates (Daewoo International, Posco, Genting, and IJM) because of their links to Indonesian palm oil plantations. In the absence of more rigorous and widely accepted metrics, many investors follow the actions taken by funds seen as leaders in the ESG field. The Norwegian Government Pension Fund’s “List of Excluded Companies” is particularly influential on many funds’ investment and divestment decisions. Investors taking a positive screening approach may invest preferentially in the companies whose sustainability policies are regarded as “best-in-class” in a particular sector. These companies’ partners in the supply chain may also be regarded as “good” investment choices, thanks to their association with the sustainable company. Other investors use metrics that are less specific. Some have developed formulas that measure a company’s ESG risk by monitoring its media coverage and tracking key words that signal possible environmental concerns. Other investors do not use screens for individual companies; instead, they identify and evaluate the most egregious material ESG risks on the sector level only. At the bottom of the scale, some investors may only exclude securities that are regarded as “worst-in-class” within a particular sector. “This is often just a way to hedge reputational issues,” Henderson notes. Finally, some investors may not implement ESG methods to any significant extent. A 2012 report by the World Wide Fund for Nature (also known as the World Wildlife Fund; both referred to as “WWF”) found that, in general, few institutional investors quantified or even tracked the exposure of their portfolios to palm oil. In the palm oil industry, both equity investors and banks regard membership in the Roundtable on Sustainable Palm Oil (RSPO), the industry’s largest regulation and certification body, as the de facto standard for sustainability best practices and good management. At the same time, many investors also recognize the flaws in the RSPO’s methodology, and are looking for other ways to quantify and measure the sustainability of palm oil companies. While current trends are promising, there remains room for improvement across the financial sector, since the extent to which banks implement ESG principles in practice varies greatly. Even banks with sustainability departments often still evaluate investment decisions only after they have been made. In its annual survey, the 2013 Global Investor Survey on Climate Change found that about half of the asset owners and managers who were contacted used a framework to quantify material climate-change risk, but only about a quarter had actually changed an investment or decision-making process as a result of this analysis. Most worryingly, many regional and local banks, especially the Southeast Asian banks that conduct large amounts of business with oil palm companies, do not consider ESG risk at all. Until these issues are addressed, financiers will continue putting their money into unsustainable palm oil, whether they are aware of it or not. What’s Preventing Palm Oil Investors from Addressing ESG Risks More Adequately? Evidence suggests that the demand for ESG assessment is rising and steadily becoming more widely accepted in the financial sector. However, although many investors want to implement improved, extensive ESG methods, they are prevented from doing so by an array of obstacle. Most of these impediments can be grouped in five categories: internal organizational constraints; a lack of research, data, and expertise; a lack of proven materiality; short-termism and the lack of incentives for environmental performance; and issues specific to palm oil. Individual investment managers may be aware of environmental issues, but they find it difficult to influence investment decisions at a firm-wide level, especially in mainstream investment institutions. This is because these institutions rarely have a central ESG department accessible to all fund managers within the firm. As a result, ESG analysts often report their findings only to the firm’s SRI fund divisions, rather than to the Asian fund management divisions that control the palm oil portfolio. “Analysts may be barred from talking to fund managers of their own financial institutions because of ‘Chinese walls,’” Wakker notes. “They can only ‘throw their assessments over the wall’ and hope someone reads [them].” Because of these constraints, ESG specialists often find themselves advocating for sustainability principles not just for their external clients, but also within their own companies. Sustainable investing is a relatively new field, and experts agree that a lack of knowledge about sustainable investing remains a major problem for financiers. The palm oil sector, in particular, is “both definitionally and metrically challenged,” Henderson notes. For instance, there remains no universal agreement about the meaning of terms such as “zero deforestation” and “degraded land,” which are crucial for designing ESG metrics. Many companies simply do not disclose the data necessary to subject them to meaningful ESG evaluations. “Disclosure is particularly poor in the land-use sector for publicly listed companies,” says Henderson, citing research led by the SRI mutual fund firm Calvert Investments, which found that just 6% of publicly listed companies worldwide reported their raw materials use. Banks themselves are sometimes complicit in this lack of transparency; for example, loans to small companies are still extremely opaque, and often involve the use of multiple shell companies. Finally, institutions willing to implement ESG methods often find that they lack the necessary expertise and institutional capacity to do so. Many lack the expertise to understand the complex issues surrounding specific industries, including—crucially—palm oil. The typically small- to medium-sized teams that run investment funds also find themselves under-equipped because they lack the staff or hours to deal with ESG issues that are growing increasingly more complex. Perhaps the most fundamental challenge facing sustainable investing is that there is still not enough evidence to prove that unsustainable investing has a negative impact on corporate value. This makes it tough for investors to justify incorporating ESG principles at scale in mainstream portfolios, especially when these principles conflict with conventional models projecting high returns. “For investors, the risk of ‘little environmental impact’ has always been secondary to the risk of low returns,“ remarks Krosinsky. “It is not accidental that due diligence on risk of return is a highly standardized method with large brand names such as Moody’s on the front lines, while due diligence of environmental impact remains a scattered approach led by companies you have probably never heard of.” Hence, in the absence of “sticks” in the form of externally imposed regulations and penalties, profit-seeking investors naturally gravitate toward the “carrots” of investing in unsustainable companies. This is not to say that companies’ unsustainable practices do not have a negative impact on their returns. Rather, it is more likely that the assessment methods currently used by banks are not sophisticated enough to detect these negative effects. The problem of proving materiality is closely linked to short-termism, which is a structural issue associated with the present financial markets. Short-termism refers to the tendency of fund managers to consider investments for their immediate, or short-term, returns, rather than their long-term value. This can be manifest in several forms, including the decrease in CEO tenure; short-term benchmarks for measuring the performance and compensation of fund managers; and the definition of risk as volatility around an index, rather than as long-term absolute risk to capital.,  Short-termism is linked to the problem of proving materiality because if fund managers have incentives to evaluate an investment’s value solely in the short term, they are likely to miss or care less about the negative impacts on value caused by unsustainable practices, which usually become apparent only in the long term. Within the general analyst community, buy-side analysts are more likely to take ESG assessments seriously, because their compensation is closely tied to how their investment recommendations perform. However, it is difficult to tell what method buy-side analysts use to assess environmental risk or how well or how frequently they do so because they do not publish their reports. In comparison, sustainability is rarely a concern for sell-side analysts, especially at Asian banks. This is because sell-side analysts’ compensation is linked more closely to the speed at which they can obtain new financial information, as well as to their ability to market their firm’s services to clients. In addition to the issues just outlined, some details specific to palm oil make assessing the ESG impact of palm oil investments difficult for many investors. Palm oil constitutes only a small part of the direct investment portfolio for North American and European funds, which have the most active SRI policies. For these funds, direct investments in palm oil may constitute less than 1% of assets under management. In comparison, only about 20 fund managers control over 80% of the funds directly invested in the palm oil sector. It is unclear what ESG methods these managers use, if any. In reality, however, funds in the Western world are probably much more exposed to palm oil than these figures suggest, because many of them track indices containing palm oil or palm-oil-linked companies. A 2012 study by the WWF concluded that due to “the pervasive nature of the commodity and globally interconnected supply chains,” the “majority” of global portfolios will be exposed to palm oil. Western funds are separated from palm oil companies by geographical and language barriers. Ninety percent of palm oil growers by total market capitalization are listed in Southeast Asia, specifically Singapore, Malaysia, and Indonesia. For Western investors, this geographical remoteness accentuates cultural and language barriers and limits access to companies’ management. Southeast Asian banks have to follow implicit government policy. Palm oil revenues continue to be a cornerstone of economic development policy in Malaysia and Indonesia. As a result, banks based in these countries may find it difficult to restrict capital from palm oil companies, or challenge the sustainability of their operations. Do Poor Environmental Practices Affect Palm Oil Companies’ Bottom Lines on a Scale Meaningful for Investors and Financiers? The question of materiality is key to understanding the drivers behind palm oil finance. Evidence shows that the majority of investors have incentives to evaluate and make investment decisions based on short-term gain. On the other hand, investors do not usually account for losses in value resulting from palm oil companies’ unsustainable practices, because these are both harder to quantify and likely to occur in the longer term. However, experts agree that these risks alone do not create enough of a business case to adopt sustainability. In a 2014 report for the UNEP Inquiry, Ben Caldecott and Jeremy McDaniels of the Stranded Assets Program at Oxford find “little evidence to suggest that environment-related risks currently pose a systemic risk to the financial system.” Eric Wakker of Aidenvironment Asia concurs, saying that while environmental non-compliance “could certainly hurt” companies materially, they usually do not pose a “massive financial risk.” Benjamin McCarron offers a slightly different viewpoint, suggesting that environmental problems may be an indicator of underlying mismanagement, which is likely to have material consequences. Nevertheless, in this case, material impacts would be a consequence of mismanagement issues, rather than environmental issues themselves. Researchers believe that increased temperatures and decreased soil moisture levels due to intensifying climate change and the formation of microclimates around large palm oil plantations will eventually have a material impact on oil palm yields. Potentially the most material threat to peatland palm oil plantations is flooding. A May 2015 report by Deltares and Wetlands International projected that due to deforestation and peatland draining, soil levels will subside, putting up to 56% of existing peatland plantations at risk of being submerged by floods. Some stranded assets have already been reported in the oil palm industry, such as in Dumai in northern Riau, where large areas of palm oil plantations have reportedly become flooded and unproductive. Nevertheless, analyses show that the majority of these environment-related risks become most apparent only in the long term. In the short to medium term, it is doubtful whether these effects will be significantly internalized in companies’ financials, or to the extent that they will cause financiers and growers to change their behavior. In addition to productivity risks, the WWF report enumerates four other categories of risk through which palm oil companies with poor environmental practices could suffer negative financial consequences. However, almost all of these require enforcement by an external party. Reputational Risks. The “reputational risks” caused by unsustainable practices may damage the reputation of plantation companies, as well as that of their trading partners, decreasing the willingness of other companies to work with them. In addition, consumer backlash against environmental violations may lead to boycotts and reduced sales, and negative media attention may cause erosion in brand value. This mechanism depends on the work of whistleblowers and activist NGOs to uncover and spread awareness of unsustainable practices among the public. Market Risks. Under “market risks,” environmentally minded financiers may deny growers capital through negative screening and divestment, leading to downward pressure on share prices and an inability to finance expansion. However, this relies on all possible creditors uniformly implementing effective ESG assessments, a process that faces numerous hurdles, as enumerated previously in this article. Another market risk is that the demand for certified sustainable palm oil (CSPO) may grow, causing unsustainable palm oil growers to become unable to find markets and international trading partners. This scenario seems unlikely in the near future; currently, the global supply of CSPO far exceeds demand, and only about 50% of sustainably produced palm oil is able to find buyers. Among the market risks, the most significant is probably the recent adoption of “no deforestation, no peat, no exploitation” policies by major palm oil traders such as Wilmar, Musim Mas, and Golden-Agri Resources. Since these traders cover approximately 96% of the global palm oil trade, growers who do not change their practices risk being cut out of the supply chain. However, this mechanism is again dependent on enforcement and monitoring by actors external to the grower itself. Social Risks. Conflicts with laborers and local communities, categorized under “social risks,” may lead to industrial stoppages and operating losses. On the other hand, many laborers are migrant workers and child laborers with few legal rights,,  and in Indonesia, legislature governing the rights of indigenous communities remains weak. Palm oil companies are known to suppress worker disobedience through violence and the termination of workers’ employment.,  With such an unequal balance of power between companies and local communities, it is hard to see how social conflicts can pose a consistent and significant risk to an unsustainable company’s revenues. From the above analysis, it seems clear that the threat of reduced productivity at some point in the future is not enough to reduce the value of unsustainable companies in investors’ eyes. Hence, governments and regulatory bodies such as the RSPO play a crucial role in getting companies to internalize the negative impacts of their unsustainable activities. The first governmental attempts to regulate sustainable palm oil came from consumer countries downstream in the supply chain. In 2010, the Netherlands launched the Dutch Task Force for Sustainable Palm Oil, which mandated that only sustainable palm oil could be purchased for the Dutch market by the end of 2015. As a result, the percentage of sustainable palm oil used in the Netherlands jumped from 30% in 2011 to 72% in 2014. Other European countries, including Belgium, France, Germany, and the UK, have responded by issuing mandates with similar timelines. More recently, countries that play key roles in palm oil financing have taken steps to tighten regulations. In 2014, Singapore passed its Transboundary Haze Pollution Act, which allowed entities causing haze pollution in Singapore to be taken to court, regardless of whether they were based in Singapore or not. In October 2015, the Association of Banks in Singapore followed up the Act with Singapore’s “Guidelines on Responsible Financing,” which mandated stricter disclosure, governance, and capacity building regarding ESG issues for the majority of banks in the country. Japan’s “Corporate Governance Code,” introduced in March 2015, provides a voluntary governance framework that may make it harder for Japanese financiers to invest in unsustainable palm oil. Most notably, in October 2015, the China Chamber of Commerce also presented its “Guide for Overseas Investment and Production of Sustainable Palm Oil by Chinese Enterprises.” These guidelines are still in the process of being finalized, but if successfully implemented, China’s commitment will play a big role in turning the tide towards sustainable palm oil: China is one of the world’s largest purchasers of palm oil, accounting for 12% of the global market. The Indonesian government has lagged in enforcing sustainability policy, but the severity of recent fires has triggered some changes. In September 2014, Indonesia finally became the last country to ratify the ASEAN Agreement on Transboundary Haze Pollution, binding the government to take measures to prevent and monitor the spread of haze across borders. In November 2015, President Joko “Jokowi” Widodo’s administration instructed companies to refrain from clearing peatlands in existing concessions and planting areas that burned. A legally binding presidential decree on the matter is said to be forthcoming. Most recently, in January, Jokowi made good on his promise to establish a peatland restoration agency, which aims to restore 2 million hectares of degraded peat within the next five years. The Indonesian environment ministry is currently investigating 276 companies for their role in 2015’s fires; of these, 23 have been served with sanctions ranging from increased supervision to a permanent suspension of their licenses to operate. In September 2015, the Supreme Court ordered PT Kallista Alam to pay a record $26 million in fines and reparations for clearing land with fire in Aceh’s Leuser Ecosystem, but in December a South Sumatra court threw out a similar case brought by the government against pulp and paper supplier PT Bumi Mekar Hijau. The environment minister, Siti Nurbaya, has vowed to personally oversee the government’s appeal. Historically, few companies have been successfully prosecuted for their role in causing fires and haze. It remains to be seen whether the latest efforts will garner different results. How Are NGOs Innovating to Reach Financiers and Companies? Are Their Reports and Campaigns Getting Through? In the previous section, we discussed the role of governments and regulators in getting the palm oil industry to internalize its environmental risk. However, regulators are only half the puzzle. This section will focus on NGOs, who play an equally crucial role. In the palm oil sector, environmental NGOs have traditionally played the role of whistleblowers and public activists. This approach has had some success in drawing public attention to the issue and keeping companies accountable. Some notable achievements include Unilever’s adoption of a sustainable palm oil policy following public demonstrations at its headquarters by Greenpeace,,  and the divestment of Deutsche Bank from Indonesian producer Bumitama Agri after consultations with the German NGO, Rettet den Regenwald, as well as a public petition receiving nearly 88,000 signatures. Efforts to reach financiers generally fall into two categories: research reports and shareholder tools. Research reports focused specifically on the financial impacts of unsustainable palm oil are picked up by financiers through controversy mining tools. For example, the work of Chain Reaction Research (CRR) in highlighting the financial risks of unsustainable companies has played a key role in the adoption of more robust sustainability policies by companies such as Bumitama, as well as the blacklisting of companies such as Sumbermas Sarana by major palm oil traders. “CRR reports and news updates are distributed to hundreds of analysts and others in the finance sector,” says Eric Wakker, a senior consultant with CRR, who noted that the analyst community’s reception to these reports has been positive. Shareholder tools are used by a specific category of activists known as activist investors, who also own shares in a company, and whose actions can significantly affect the amount of risk investors perceive to be associated with a particular firm. Shareholder tools are diverse, ranging from proxy votes and letter-writing campaigns to shareholder resolutions and boycotts, but all share the characteristic of advocating change from within the financial system. Activist investors are seen as more credible by risk analysts and fellow investors, for they believe that the financial interests of activist investors are likely to be aligned with their own. One of the most significant activist investor groups in the palm oil sphere is the Sustainable Palm Oil Investor Working Group (IWG). The IWG comprises 25 institutional investors, all of which are members of the UN-supported PRI, representing over $2 trillion of assets under management. IWG members take an active role in engaging the palm oil companies in their portfolios by asking for clear commitments and time-bound plans to adopt RSPO certification. Compared to private companies, publicly listed companies have generally been perceived as being more receptive to activism. As a result, they have become the focus of the majority of activist campaigns. “Publicly listed companies tend to have better disclosure and be more responsive, as they are more in the public eye,” says McCarron. The traditional recourse for investors owning shares in unsustainable companies has been divestment. However, there has been significant pushback against the divestment model. Many investors express the sentiment that in the absence of binding industry-wide regulations, divestment will not change a company’s actions if it can simply find financing elsewhere. Now, more proactive investors are seeking to stimulate organizational change through engagement with errant companies. “Rather than divestment, it’s about future investment in these companies and how it can be directed,” says Krosinsky. “For example, if forest areas need to be preserved, companies can be encouraged not to place capital expenditures there.” For institutional investors, divesting from a company generally involves a formal review process lasting one to three years; during this period, the investee company should be strongly incentivized to engage with investors. Divestment, if performed, should be regarded as a last resort. Though private companies are seen as harder to influence, some experts express hope that they, too, can be engaged, by using the corporate value chain. Private companies often still need to borrow, which subjects them to corporate banks’ ESG screens and risk management policies. Additionally, unsustainable private growers will be materially impacted by the no deforestation, no peat, no exploitation policies of publicly listed traders. Finally, private equity firms offer an additional channel through which to influence companies. Private equity investments are generally committed for a period of over five years, making divestment difficult; on the other hand, this creates an incentive for investors to take a proactive approach, using their majority stake to influence these companies’ operations and create lasting value. Banks and investors are increasingly looking for ways to hold companies accountable for their actions. In previous sections of this article, we looked at how financiers may deny capital to companies with poor environmental performance. Now, some leading banks are also exploring a more positive approach by introducing incentives that encourage companies to perform better. Among the commercial banks with ESG policies, a significant number also have standalone policies on financing palm oil. Many require their clients in the palm oil sector to either be members of the RSPO, or have a time-bound plan to achieve this. Now, banks are moving toward a more collaborative model: working with clients to identify gaps, and providing the necessary financing for them to fully adopt sustainable palm oil. One of the most important agreements in this direction is the Soft Commodities Compact, developed as a collaboration between the Banking Environment Initiative (BEI) and the Consumer Goods Forum (CGF). Signatory banks to the Compact agree to use “appropriate financing mechanisms” to help non-RSPO certified clients achieve certification, so that by 2020, all their corporate and investment banking clients in the palm oil sector will be RSPO-certified. The signatory banks to the Compact are Barclays, BNP Paribas, Deutsche Bank, Lloyds, Rabobank, RBS, Santander, Standard Chartered, UBS, and Westpac. Another milestone came in January 2014, with the introduction of the Sustainable Shipment Letter of Credit by BEI. Under this agreement, the International Finance Corporation (IFC) will offer preferential terms of credit to its partner banks when they finance the import of RSPO-certified sustainable palm oil to emerging markets. Uptake has been promising, with one bank reporting nearly $50 million of new “sustainable shipment” business from July to December 2014. A similar approach is now being explored for the shipment of other commodities. A few banks have even gone as far as making “greenness” an integral part of their corporate agenda. One of these is South Africa’s Nedbank, which launched South Africa’s first ESG-benchmarked index, the Nedbank Index, in 2011. Other Nedbank initiatives include a dedicated Carbon Finance Team, which develops strategies for clients to reduce their carbon footprints, and a Green Affinity Banking program, which donates money to environmental causes on behalf of clients at no additional cost. One condition is crucial for green financing schemes to succeed: All commercial banks within a region must adopt the same message. For instance, offering preferential rates to “good” actors is unlikely to have an impact if other banks decide to offer even lower rates, with fewer restrictions. Cooperation is also a key consideration for the consortiums of banks that underwrite major loans and IPOs. “When a consortium finances a group, one bank isn’t going to give incentives when the others don’t,” notes Wakker. Despite large leaps forward in the past few years, the green finance industry is still in its infancy. Though an increasing number of financiers are recognizing the importance of sustainable finance and implementing stricter ESG standards, “institutions are still learning to make buy and sell decisions that actively incorporate environmental risks and opportunities,” says Gabriel Thoumi. However, time is of the essence. Unsustainable forest commodity farming is causing forests to be lost at an alarming rate, and with them, irreplaceable biodiversity and the livelihoods of millions of indigenous people. From a financial perspective, the inability of agribusiness companies to internalize environmental costs is a massive economic problem. Early estimates indicate that when healthcare, logistical, and fire-fighting costs are considered, this year’s forest fires may have cost Indonesia US$47 billion. Greater transparency about company ownership and environmental footprint. Currently, none of the major business information agencies provide comprehensive data on company ownership. A number of services do exist to help listed companies understand their own ownership, including NASDAQ, CLSA, and the corporate access teams within major banks. Both services are key for investors to make sure they do not contribute, directly or indirectly, to financing unsustainable palm oil. ESG materiality assessments for companies are not mandatory in the vast majority of jurisdictions. Without these assessments, critical ESG issues will not be discussed in financial statements, and will not be brought to the attention of financial analysts. There should be a shift in regulations so that ESG assessments are no longer considered optional, but a part of standard reporting and disclosure procedures. Greater collaboration between environmentally minded financiers. Many of the issues in sustainable finance are too big for any institution to tackle alone. Corporate banks need to work together to present a cohesive stance to the palm oil industry and avoid being undercut by competitors less concerned with sustainability. There is also great potential for leading funds, such as the Norwegian and Swedish pension funds, to spearhead large-scale conservation finance projects; CalPERS is one example of a major fund that is leading inter-institutional efforts to promote regulation and legislation. Enforcement of “no deforestation, no peat, no exploitation” policies. In the absence of stronger regulations by the Indonesian government, the no deforestation, no peat, no exploitation pledges made by major palm oil traders and consumer goods manufacturers remain the most material risk to unsustainable palm oil companies. Enforcing these pledges would cut unsustainable companies out of major segments of the market. It would also negatively affect measures of risk used by financial analysts, making these companies less attractive prospects for investors and financiers. Defining the value of palm oil companies in terms of yield, not size of land banks. If the yield of all existing palm oil plantations were improved by 2% each year, the increase in output would be enough to meet 100% of the projected growth in global demand. Yet, many investors continue to measure the potential of oil palm companies in terms of the size of their land banks, creating an incentive to clear land rather than to adopt better farming methods. Measuring earnings potential in terms of productivity would direct more capital toward more sustainable companies, which would also generate more value in the long run. Pek Shibao is a sustainability researcher and consultant based in Singapore. 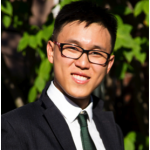 He is interested in sustainable finance and forestry, particularly commodity supply chains. Pek also works with PM.Haze, a citizen’s activist group that aims to find solutions to the haze problems affecting Southeast Asia.
. 2014 Review, Global Sustainable Investment Alliance, 2014, p3. Available from http://www.gsi-alliance.org/wp-content/uploads/2015/02/GSIA_Review_download.pdf.
. Report on Progress 2014, Principles for Responsible Investment, 2014, 30. Available from http://2xjmlj8428u1a2k5o34l1m71.wpengine.netdna-cdn.com/wp-content/uploads/2014_report_on_progress.pdf.
. Cary Krosinsky (personal communication, July 30, 2015).
. Palm Oil Investor Review: Investor Guidance on Palm Oil, WWF and EnviroMarket, 2012, 23.
. Interfaith Center on Corporate Responsibility, “The Connection Between Faith & Investing.” Accessed November 22 2015 from http://www.iccr.org/our-approach/connection-between-faith-investing.
. The Impact of Sustainable and Responsible Investment, US SIF Foundation, 2013, 2. Available from http://www.ussif.org/files/publications/ussif_impactofsri_aug2013_final.pdf.
. Todd Cort and Cary Krosinsky, “Green Finance Environmental Impact Hard to Measure,” Financial Times, November 4 2015. Available from http://www.ft.com/intl/cms/s/0/abeb036c-78a8-11e5-a95a-27d368e1ddf7.html.
. Russell Hotten, “Volkswagen: The Scandal Explained,” BBC News, November 4 2015. Available from http://www.bbc.com/news/business-34324772.
. “Indonesia’s Forest-Fire Haze,” The Economist, November 6 2015. Available from http://www.economist.com/blogs/graphicdetail/2015/11/daily-chart-3.
. “Indonesia’s Forest Fires: Everything You Need to Know,” The Guardian, November 11 2015. Available from http://www.theguardian.com/sustainable-business/2015/nov/11/indonesia-forest-fires-explained-haze-palm-oil-timber-burning.
. Eric Wakker, head of the Asia division of sustainability consultancy Aidenvironment (personal communication, November 7 2015).
. Palm Oil Investor Review, 25.
. Eric Wakker (personal communication, November 7 2015).
. Iain Henderson (personal communication, October 29 2015).
. Annual Report 2014, Council on Ethics for the Government Pension Fund Global, 2014, 6. Available from http://etikkradet.no/files/2015/01/Council-on-Ethics-2014-Annual-Report.pdf.
. Richard Milne, “Norway Fund Excludes Four Asian Groups Over Palm Oil Links,” Financial Times, August 17 2015. Available from http://www.ft.com/intl/cms/s/0/b8305bbe-44c7-11e5-b3b2-1672f710807b.html.
. Palm Oil Investor Review, 22.
. Palm Oil Investor Review, 21.
. Equator Principles, “Members & Reporting.” Accessed November 22 2015 from http://www.equator-principles.com/index.php/members-reporting.
. James Comtois, “Goldman Sachs Asset Management Names ESG Leader,” Pensions & Investments, June 9 2015. http://www.pionline.com/article/20150609/ONLINE/150609847/goldman-sachs-asset-management-names-esg-leader.
. Morgan Stanley, “Institute for Sustainable Investing.” Accessed November 22, 2015 from http://www.morganstanley.com/what-we-do/institute-for-sustainable-investing.
. Investing with Impact: Creating Financial, Social and Environmental Value, Morgan Stanley, 2014. Available from http://www.morganstanley.com/globalcitizen/pdf/investing-with-impact.pdf.
. Benjamin McCarron (personal communication, October 23 2015).
. 3rd Annual Report on Actions and Progress, Global Investor Survey on Climate Change, 2013, 6. Available from https://www.ceres.org/resources/reports/global-investor-survey-on-climate-change-2013/at_download/file.
. Sustainable Finance in Singapore, Indonesia and Malaysia, World Wide Fund for Nature, 2015, 47–67. Available from http://d2ouvy59p0dg6k.cloudfront.net /downloads/wwf_frc_forest_risk_commodities_report_2015_online_1.pdf.
. Palm Oil Investor Review, 21–25.
. Gabriel Thoumi (personal communication, October 20 2015).
. Calvert Investments, Fauna & Flora International, and Crowell Moring, “Global Financial Indices and Natural Capital Policies Assessment: Q3 2014 Baseline Analysis,” 2014, 4. Available from http://www.calvert.com/NRC/literature/documents /Global%20Financial%20Indices%20and%20Natural%20Capital%20Policies% 20Assessment%20Q3%202014%20Baseline%20Analysis%20Final.pdf.
. Ben Caldecott and Jeremy McDaniels, “Financial Dynamics of the Environment: Risks, Impacts, and Barriers to Resilience,” UNEP Inquiry Working Paper, 2014, 6–7. Available from http://apps.unep.org/publications/pmtdocuments /Financial_Dynamics_of_the_Environment_Risks_Impacts_and_Barriers_to_Resilience.pdf.
. Palm Oil Investor Review, 19.
. Palm Oil Investor Review, 8.
. Will Greene, “Palm Oil in Indonesia and Malaysia: A Controversial Industry,” Tigermine Ventures, May 13 2013. Available from http://www.tigermine.com/2013/05/13/palm-oil-malaysia-indonesia-controversy/.
. Palm Oil Investor Review, 11.
. Ben Caldecott and Jeremy McDaniels, “Financial Dynamics of the Environment,” 6.
. Christopher Boon Sung Teh, “Effect of Climate Change on Oil Palm Yield in Malaysia: Some Simulations,” 2012. Available from http://www.christopherteh.com/blog/2012/09/cc-oil-palm/.
. NaanDan Jain Irrigation, “Oil Palm,” 2011, 3. Available from http://he.naandanjain.com/uploads/catalogerfiles/oil-palm-2/NDJ_OilPlam_eng_booklet_130311F.pdf.
. Hanim Adnan, “El Nino Dry Weather to Lead to Rise in the Palm Oil Price,” The Star Online, September 28 2015. 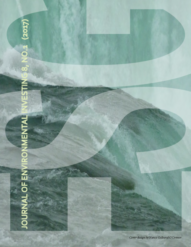 Available from http://www.thestar.com.my/Business/Business-News/2015/09/28/The-return-of-El-Nino/?style=biz.
. Edgar Turner et al., “The Impact of Oil Palm Expansion on Environmental Change: Putting Conservation Research in Context.” Environmental Impact of Biofuels, ed. Marco Aurelio Dos Santos Bernardes, InTech, 2011, 26. Available from http://eprints.soton.ac.uk/359401/1/19109.pdf.
. Flooding Projections from Elevation and Subsidence Models for Oil Palm Plantations in the Rajang Delta Peatlands, Sarawak, Malaysia, Deltares, 2015, 39. Available from https://www.deltares.nl/app/uploads/2015/06/Rajang-Delta-Peatland-Subsidence-Flooding-Deltares-2015.pdf.
. David Fogarty, “It’s Not Just Haze—Forest Clearing Leads to Subsidence,” The Straits Times, October 1 2015. Available from http://www.straitstimes.com/asia/se-asia/its-not-just-haze-forest-clearing-leads-to-subsidence.
. Ben Caldecott, Nicholas Howarth and Patrick McSharry, “Stranded Assets in Agriculture: Protecting Value from Environment-Related Risks,” Stranded Assets Programme, 8. Available from http://www.climatechangecapital.com/images/docs/publications/stranded-assets-agriculture.pdf.
. Who Watches the Watchmen? : Auditors and the Breakdown of Oversight in the RSPO, Environmental Investigation Agency, 2015. Available from https://eia-international.org/wp-content/uploads/EIA-Who-Watches-the-Watchmen-FINAL.pdf.
. Patrick Anderson, “Business and Politics in Indonesia’s Expanding Palm Oil Sector,” Inside Indonesia, Jul–Sept. 2014. Available from http://www.insideindonesia.org/business-and-politics-in-indonesia-s-expanding-palm-oil-sector.
. Salahudin Yaacob, “Global Demands for CSPO—Where Are the Markets Headed?,” presentation, February 12 2015. Available from http://www.mpoc.org.my/upload/P5-Reach-and-Remind-2015-Mr-Salahudin.pdf.
. Joel Finkelstein, “The Chain: 96% of Global Palm Oil Trade Covered by Zero-Deforestation,” Chain Reaction Research, 8 December 2014. Available from http://chainreactionresearch.com/2014/12/08/the-chain-musim-mas-no-deforestation-policy/.
. Various reports by Chain Reaction Research, in particular “Triputra Agro Persada,” 2015, 20. Available from https://chainreactionresearch.files.wordpress.com/2015/05/triputra-agro-persada-crr-report.pdf.
. Exploitative Labor Practices in the Global Palm Oil Industry, Accenture, 2013, 33–38. Available from http://humanityunited.org/pdfs/Modern_Slavery_in_the_Palm_Oil_Industry.pdf.
. Syed Zain Al-Mahmood, “Palm-Oil Migrant Workers Tell of Abuses on Malaysian Plantations,” July 26 2015. Available from http://www.wsj.com/articles/palm-oil-migrant-workers-tell-of-abuses-on-malaysian-plantations-1437933321.
. Palm Oil and Indigenous Peoples in South East Asia, International Land Coalition, 2011, 7. Available from http://www.landcoalition.org/sites/default/files/documents /resources/FPP_Malaysia_Indonesia_web_11.03.11.pdf.
. E. Benjamin Skinner, “Indonesia’s Palm Oil Industry Rife with Human-Rights Abuses,” Bloomberg Business, July 18 2013. Available from http://www.bloomberg.com/bw/articles/2013-07-18/indonesias-palm-oil-industry-rife-with-human-rights-abuses.
. World Rainforest Movement, “Indonesia: Harsh Conditions for Women Workers in Oil Palm Plantations,” World Rainforest Movement Bulletin No. 134, 2008. Available from http://wrm.org.uy/oldsite/bulletin/134/Indonesia.html.
. Roundtable on Sustainable Palm Oil, “Termination and Suspension of RSPO Membership,” November 17 2015. Available from http://www.rspo.org/news-and-events/announcements/termination-and-suspension-of-rspo-memberships.
. Annual Report 2014, Task Force for Sustainable Palm Oil, 2014, 2. Available from http://www.taskforceduurzamepalmolie.nl/uploads/media/TaskForceDuurzamePalmolie-summery-2013_EN-v40.pdf.
. Roundtable on Sustainable Palm Oil, “Belgium Palm Oil Market Pledges to Become Sustainable by 2015,” March 5 2012. Available from http://www.rspo.org/news-and-events/news/belgium-palm-oil-market-pledges-to-become-sustainable-by-2015.
. Roundtable on Sustainable Palm Oil, “Launch of the French Alliance for Sustainable Palm Oil.” Accessed 22 November 2015 from http://www.rspo.org/file/LAUNCH-OF-THE-FRENCH-ALLIANCE-FOR-SUSTAINABLE-PALM-OIL.pdf.
. Forum Nachhaltiges Palmöl, “Our Aim.” Accessed 22 November 2015 from http://www.forumpalmoel.org/en/ueber-uns/unser-ziel.html.
. Department for Environmental, Food & Rural Affairs, “UK Statement on Sustainable Palm Oil: 2 Year On Progress Report,” 2014. Available from https://www.gov.uk/government/uploads/system/uploads/attachment_data/file/388973/palm-oil-2yearson-201412.pdf.
. Transboundary Haze Pollution Bill, Parliament of Singapore, 2014. Available from https://www.parliament.gov.sg/sites/default/files /Transboundary%20Haze%20Pollution%20Bill%2018-2014.pdf.
. ABS Guidelines on Responsible Financing, Association of Banks in Singapore, 2015. Available from http://www.abs.org.sg/pdfs/Publications/ABS-Guidelines-Responsible-Financing.pdf.
. Japan’s Corporate Governance Code: Seeking Sustainable Corporate Growth and Increased Corporate Value over the Mid- to Long-Term, Tokyo Stock Exchange, 2015. Available from http://www.jpx.co.jp/english/equities/listing/cg/tvdivq0000008jdy-att/20150513.pdf.
. Profitability and Sustainability in Palm Oil Production: Analysis of Incremental Financial Costs and Benefits of RSPO Compliance, WWF, 2012, 4. Available from http://d2ouvy59p0dg6k.cloudfront.net/downloads /profitability_and_sustainability_in_palm_oil_production__update_.pdf.
. Jessica Cheam and Manilyn Manibo, “Indonesia Finally Ratifies Asean Haze Treaty,” Eco-Business, 17 September 2014. Available from http://www.eco-business.com/news/indonesia-finally-ratifies-asean-haze-treaty/.
. “A Hope for Peatland Protection, No More Business as Usual on Peat,” Eyes on the Forest News, 12 November 2015. Available from http://www.eyesontheforest.or.id/?page=news&action=view&id=878.
. “Peatland Restoration Agency Established to Prevent Forest Fires,” ANTARA News, 14 January 2016 Available from http://www.antaranews.com/en/news/102502/peatland-restoration-agency-established-to-prevent-forest-fires.
. “Indonesia Punishes Firms over Deadly Forest Fires,” Channel NewsAsia, 22 December 2015. Available from http://www.channelnewsasia.com/news/business/indonesia-punishes-firms/2369068.html.
. Amanillah and Arzia Tivany Wargadiredja, “Indonesia Suffers Setback in Fight against Haze after Suit Rejected,”Reuters, 30 December 2015. Available from http://www.reuters.com/article/us-indonesia-haze-idUSKBN0UD0PD20151230.
. Indra Nugraha, “Indonesia Seeks Re-Do on Court Decision Absolving Company for Haze-Causing Fire,”Mongabay.com, 12 January 2016. Available from http://news.mongabay.com/2016/01/indonesias-environment-czar-to-personally-oversee-rematch-with-bmh/.
. Alan Khee-Jin Tan, The “Haze” Crisis in Southeast Asia: Assessing Singapore’s Transboundary Haze Pollution Act 2014, National University of Singapore Faculty of Law Working Paper 2015/002, 13–14. Available from http://law.nus.edu.sg/wps/pdfs/002_2015_Alan%20Khee-Jin%20Tan.pdf.
. “Greenpeace Campaign Forces Unilever U-Turn on Palm Oil,” Greenpeace, May 1, 2008. Available from http://www.greenpeace.org/international/en/press/releases/greenpeace-campaign-forces-uni/.
. Judith Walls (personal communication, October 13, 2015).
. “Deutsche Bank Dumps Controversial Palm Oil Company,” Mongabay.com, May 27, 2014. Available from http://news.mongabay.com/2014/05/deutsche-bank-dumps-controversial-palm-oil-company/.
. Benjamin McCarron (personal communication, October 23, 2015).
. Eric Wakker (personal communication, November 7, 2015).
. Chuck Eesely, Katherine DeCelles, and Michal Lenox, “Through the Mud or in the Boardroom: Examining Activist Types and Their Strategies in Targeting Firms for Social Change,” University of Virginia Darden Business School Working Paper No. 2574046, 2015, 3–4. Available from http://papers.ssrn.com/sol3/papers.cfm?abstract_id=2574046.
. Principles for Responsible Investment, “Institutional Investors Call on Palm Oil Producers to Adhere to RSPO Principles as Next Phase of Engagement Begins,” July 16, 2013. Available from http://www.unpri.org/viewer/?file=wp-content/uploads/2013-07-16PalmOilmediarelease.pdf.
. Palm Oil Investor Review, 31.
. Palm Oil Investor Review, 32.
. Iain Henderson (personal communication, October 29, 2015).
. Various banks; for example, see Citi’s “Environmental Policy Framework,” 2012. (http://www.rspo.org/file/acop/citi/F-Lending-Policy.pdf) and UBS’s “Environmental and Social Risk Policy Framework,” 2015. Available from http://www.ubs.com/content/dam/ubs/global/about_ubs/corporate_responsibility/UBS-ESR-framework.pdf.
. ‘Soft Commodities’ Compact, Banking Environment Initiative, 2014. Accessed November 22, 2015 from http://www.cisl.cam.ac.uk/business-action/sustainable-finance/banking-environment-initiative/pdfs/the-bei-and-cgfs-soft-commodities-compact.pdf.
. Cambridge Institute for Sustainability Leadership, “The Banking Environment Initiative (BEI) and Consumer Goods Forum (CGF)’s ‘Soft Commodities’ Compact.” Accessed November 22, 2015 from http://www.cisl.cam.ac.uk/business-action/sustainable-finance/banking-environment-initiative/programme/soft-commodities.
. HSBC, “Forestry and Agricultural Commodities.” Accessed November 22, 2015 from http://www.hsbc.com/citizenship/sustainability/finance/forestry-and-agricultural-commodities.
. Annual Report 2014, Rabobank Group, 29. Available from https://www.rabobank.com/en/images/annual-report-2014-rabobank-group.pdf.
. Rabobank International, “Rabo Sustainable Agriculture Guarantee Fund,” 4. Available from https://www.agriskmanagementforum.org/sites/agriskmanagementforum.org /files/Documents/Rabo%20Brochure.pdf.
. The BEI’s Sustainable Shipment LC: A Financing Innovation to Incentivise Sustainability Commodity Trade, University of Cambridge Programme for Sustainable Leadership, 2014. Available from http://www.cisl.cam.ac.uk/publications/publication-pdfs/the-banking-environment-initiative-sustainable-shi.pdf.
. International Finance Corporation, “Sustainable Shipment LCs.” Accessed November 22, 2015 from http://www.ifc.org/wps/wcm/connect/industry_ext_content /ifc_external_corporate_site/industries/financial+markets /trade+and+supply+chain/gtfp/gfm-tsc-gtfp-sustainablelc.
. Andrew Voysey, “Can Changing How World Trade Is Financed Actually Change the World?” Consumer Goods Forum, June 9, 2015. Available from http://www.theconsumergoodsforum.com/blog/406-can-changing-how-world-trade-is-financed-actually-change-the-world.
. Dennis Ndaba, “South Africa’s First Green Index Launched,” Engineering News, August 12, 2011. Available from http://www.engineeringnews.co.za/article/nedbank-capital-launches-south-africas-first-green-index-2011-08-12.
. Nedbank Capital, “Carbon Finance.” Accessed November 22, 2015 from http://www.capital.nedbank.co.za/capital/carbon-finance.
. Nedbank, “Green Affinities,” Accessed November 22, 2015 from https://www.nedbank.co.za/website/content/GreenAffinities/.
. Gabriel Thoumi (personal communication, October 20, 2015).
. Francis Chan, “$47b? Indonesia Counts Costs of Haze,” The Straits Times, October 11, 2015. Available from http://www.straitstimes.com/asia/47b-indonesia-counts-costs-of-haze.
. Ben Caldecott and Jeremy McDaniels, “Financial Dynamics of the Environment,” 28.
. Indonesian Palm Oil Growers’ Exposure to Sustainability Purchasing Policies, Chain Reaction Research, June 30, 2015. Available from https://chainreactionresearch.files.wordpress.com/2015/07/2015-06-30-idx-companies-report.pdf.
. Fitrian Ardiansyah, “Climate Change, Deforestation and the Role of Sustainable Palm Oil,” WWF Indonesia, 6. Available from https://www.academia.edu/1086768 /Climate_Change_Deforestation_and_the_Role_of_Sustainable_Palm_Oil.